The 7 Best Tanning Salons in Arkansas! It’s time to get your bronze on! Visiting a tanning salon allows you to go sunless to get that glowing look, or to get a base tan when nice weather isn’t available to you. Keep that sun-kissed glow throughout the dark days of winter at these awesome tanning salons in Arkansas! This cool tanning salon has been serving the Springdale community for over 10 years now! Owner and professional air-brush artist, Marsha, is surrounded by a team of capable tanning assistants. 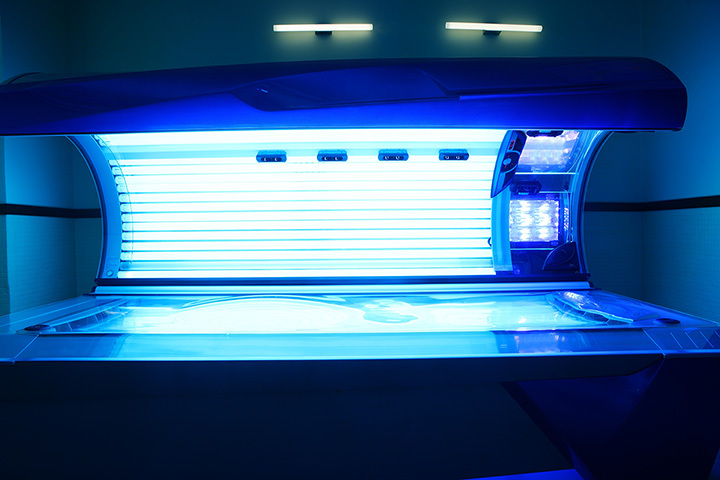 Locally owned and operated, Kool Tanz is open seven days a week and features awesome beds like the Prosun 7x High Intensive tanning bed. Welcome to your perfect tan! Perfect Tan serves the Northwest Arkansas area and features seven tanning levels and 17 different beds to choose from. Perfect Tan is conveniently open seven days a week. Elite Tanning is the largest and most modern tanning salon in the Bryant area. This well-equipped salon has 15 different beds and a Mystic Tan spray booth. During the high seasons, Elite Tanning is open seven days a week. At this tanning salon in Sherwood, you can choose from unlimited monthly services to create your own “Island Club” membership. Come check them out for your perfect island-kissed tan! Serving the Arklahoma River Valley area since 1996, this spot is a local favorite! One of the first in the area to feature high pressure beds, Fort Smith Tan Company still offers one of the largest selections of high pressure beds. This tanning salon also features a Pura Sunless automated booth and skin care system that you’re sure to fall in love with. Welcome to the Sun Shack! This tanning salon has been serving the Saline County area since 1996 and has gained a reputation for being one of the best in the area. The staff at the Sun Shack is Smart Tan trained and certified. You’ll look good all the time when you tan at this salon in Rogers. With some of the best beds in the area, Club Tan is one of the best in the Northwest Arkansas area.